There’s a book that I have recommended to many people. I’ve also given a copy of it away. 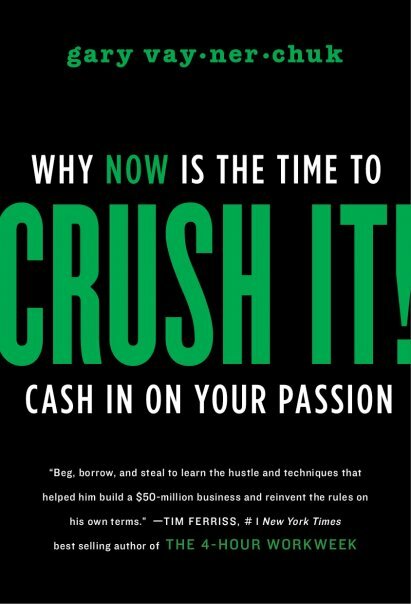 This book will inspire you to be the best at your passions that you can be. It’s a phenomenal book that is a very fast read, and I am a slow reader. Gary Vaynerchuk knows his stuff, as he has proven time and again. The stories in the book will inspire you, and can apply to anything in all areas of life. Reading this, you’ll learn the importance of blogging, and other social media outlets such as Facebook and Twitter. Every person I’ve recommended this book to has come back with a thousand ideas and wanting to talk about what they can do to build their personal brand, which is what the book is all about. 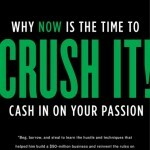 Get this book, read it, be inspired, and then Crush It!